The 6th edition of the Beirut & Beyond International Music Festival (BIMFF) 2018 kicked off on December 6 in Beirut. Featuring a lineup of diverse local and international acts, spanning genres such as classic oriental, jazz, world music and electronics the Festival continues until December 9. An AFAC-supported event, BBIMF 2018 will in turn showcase performances by a number of AFAC grantees, both current and previous. The captivating rhythms of Imed Alibi’s “Frigya” show opened the Festival on December 6 at Station Beirut. The musical performance “Lekhfa” from Egypt, previously supported by AFAC, will be on show in Metro Madina on December 7. 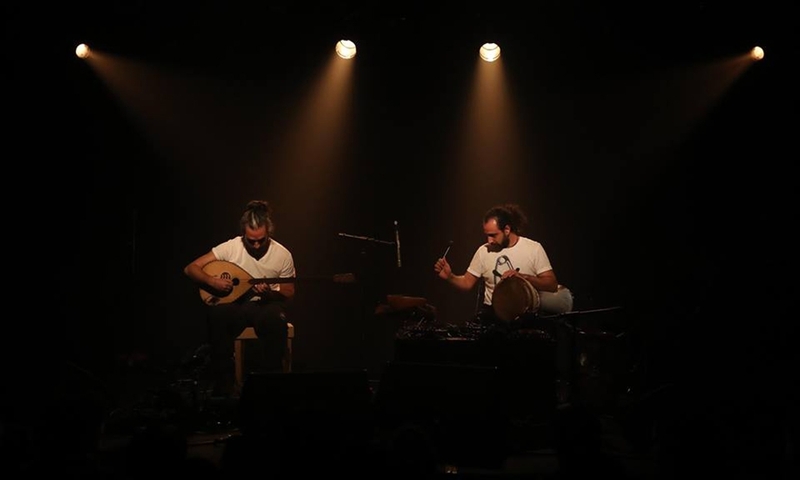 On December 8, Zoukak Studio will see a concert by the Lebanese electro-acoustic duo Two or the Dragon, as well as a performance by Adham Zidan and Anwar Dabbour from Egypt, entitled “Baskot Lel Baltageyya”. In addition to its artistic program, the Festival proposes a professional program of talks, discussions and masterclasses. For more details and the full program, click here. © The Arab Fund for Arts And Culture. All rights reserved.